As children, we often think that there are two primary medical careers: doctor and nurse. If we’re a bit more observant, we’ll notice EMTs too. But as we get older, we realize that there are many more people who make up a medical team. If you want to work in medicine, your options aren’t limited to working as a doctor or nurse or on an ambulance crew. One alternative is the role of a physician assistant, or PA. This position is vital to providing care to patients. A PA provides assistance to a doctor to help them deliver care to their patients. Under the supervision of a doctor, they diagnose and treat people, assist in surgeries, and visit hospital patients. The role of physician assistant is a crucial one. PAs help out by taking on some of the work that would otherwise be the physician’s responsibility. They reduce the pressure on doctors to allow them to focus on complicated cases. Despite not being a fully-qualified physician, a PA still plays a vital role and is highly qualified and licensed. If you’re interested in the position, here’s how to achieve your goal of making this your career. 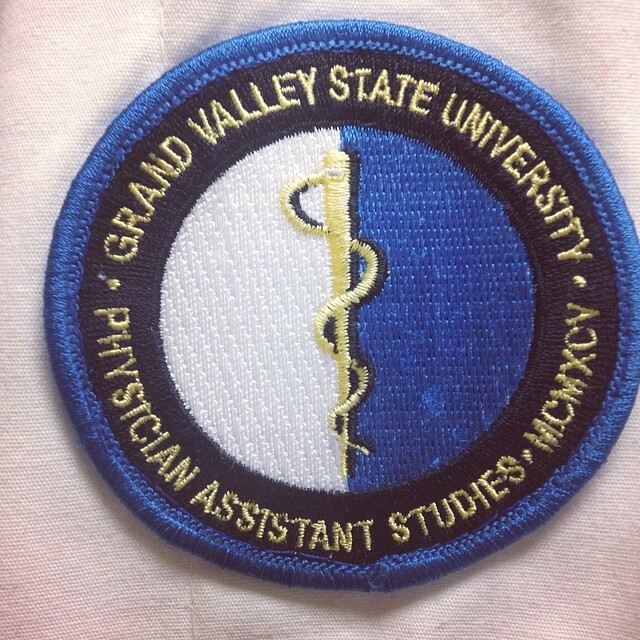 Physician assistants first complete a bachelor’s degree and then go on to do a master’s. In order to find a place in an undergraduate course, you’ll need the right prerequisites and skills. Of course, skills can be learned, so don’t worry if you’re not ready right away. You need to be a good team player and take direction well, because you’ll be working with other medical professionals.Good interpersonal skills are a plus. You should also be comfortable working alone and making decisions for yourself. There are a number of subjects you can study at a bachelor degree level, and each will have different requirements. However, you will likely need strong grades in science. Before starting a PA program, most people complete a bachelor’s degree first. You can choose any major you want, but health science can be the most helpful. Some subjects that can be useful include Medical Terminology and Statistics. You should also think about gaining some medical experience: most master’s programs ask for three or more years of experience in a medical setting. You can get experience while you’re still at school by working as a nurse, EMT, paramedic, or other role. If you want to skip the master’s degree, there is another option. Look for a physician assistant bachelor’s degree (BA-PA). This will allow you to earn both a bachelor’s and a graduate-level PA certificate at the same time. This option is cheaper and quicker, allowing you to start your career earlier. But, the short timeline makes the experience more intense, so it’s not for everyone. While you complete your bachelor’s degree, you should be researching your options to train as a PA. You will complete a two-year program, after which you can qualify to practice as a physician assistant. You should look for an accredited course. The relevant board is the Accreditation Review Commission on Education for the Physician Assistant. Before you choose a program, do plenty of research to make sure you pick the right one. Ways to do this include looking at a college’s website and asking for an information pack. You could even try to speak to a current or former student. When you apply, most programs will ask you to apply through the Central Application Service for Physician Assistants. Upon completion of your accredited program, you’ve nearly reached your goal to starting your career as a PA. Next, you need to take the Physician Assistant National Certifying Exam (PANCE). This examination is the next step toward gaining your license. You must graduate from an accredited PA program to take the exam. This five-hour test has 300 multiple choice questions about medicine and surgery. After passing the exam, you are licensed to practice. In order to maintain physician assistant licensing, a PA must do a further 100 hours of education every two years. They must also take a recertification exam every ten years to ensure they are still fit to practice. Don’t feel disheartened if you fail the PANCE exam the first time. You have invested a lot of time and effort into your education, and it would be a shame to give up when you’re so close to finishing. Although it is a blow, you can take the test again until you pass. If you struggle with computerized tests, try to get in as much practice and studying as possible. Many people struggle under stressful exam conditions, especially with this particular type of test. The Bureau of Labour Statistics expects significant job growth for PAs in the next few years. Plus, this career allows you to earn twice the average wage of other jobs. But even with plenty of job opportunities, finding a job is never easy. It takes a lot of time and effort to find something that’s suitable for you. Remember that becoming a PA is a long and hard journey. Once you gain your license, you have the skills and knowledge to make it. To increase your chance of finding a job, try applying for positions at inner-city and rural clinics. These places struggle to find staff and keep them. Qualifying as a physician assistant may be a long and tough road, but it’s worth it. If you want to work with people from all walks of life in a medical setting, you’ll love this career. Job outlook looks good for the future, and salaries are impressive. If you are considering other medical careers, this one could be for you.